This is a collaboration meant to make a difference. Starting at the Climate March, we hope these tees will circle the globe and make everyone take notice! 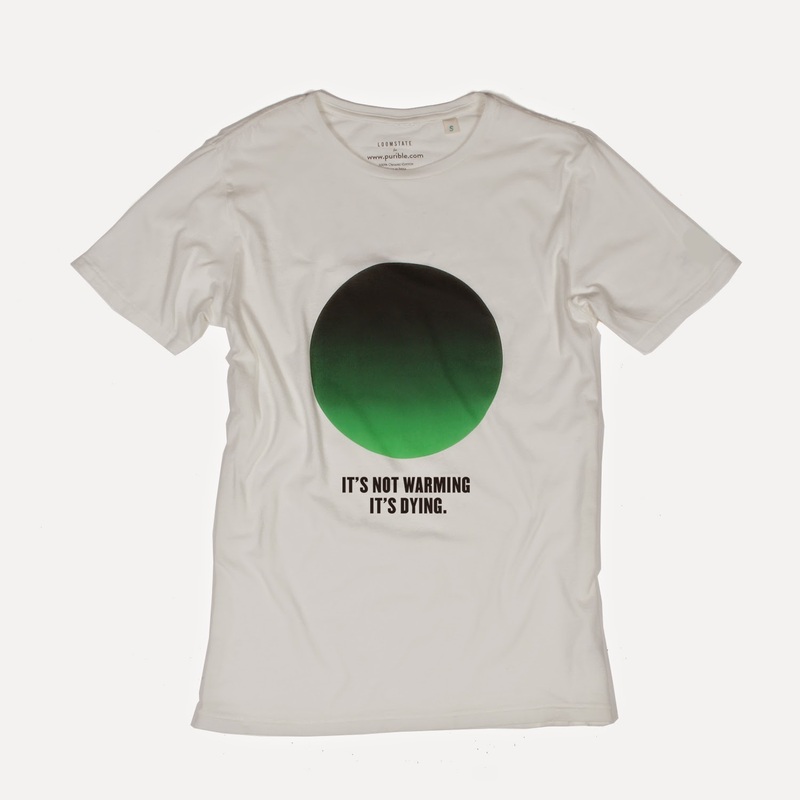 The "It's Not Warming It's Dying," tee, by iconic graphic designer Milton Glaser (think classic "I love NY" graphic) is printed on organic cotton tees in collaboration with Purible and Loomstate. The unisex tee is modeled above by Kamala, our sustainability intern!